Ello there witches and wizards! 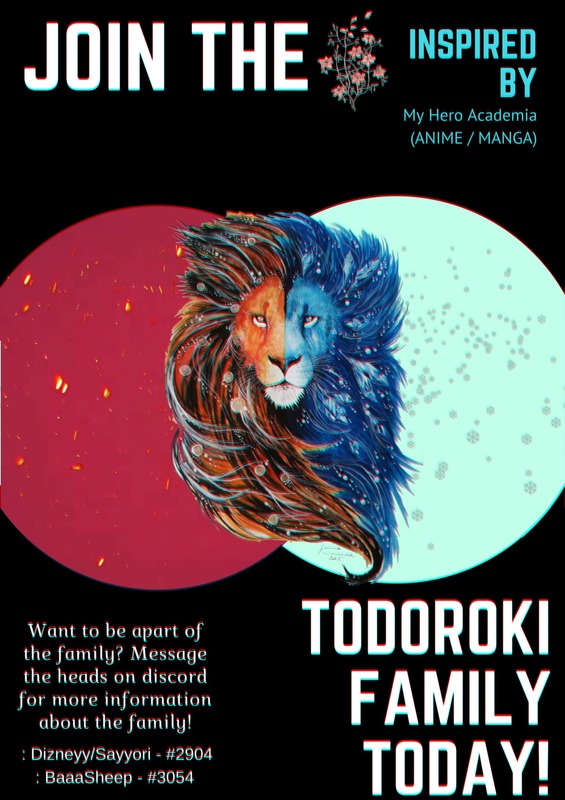 The Todoroki Family is opening and is looking for more members! The Todoroki family was founded long ago in 1802 by Reo and Yuki Todoroki and they originated in ‘Shizuoka - Japan’. They began to be one of the richest, traditional, well known ancient wizard families that were from Japan. Although, all that changed in the year 1898 when there was a formal party that the Todoroki family hold every year. A horrible disaster happened with a fire coming out of nowhere killing all of them except one boy who was 10. One survivor. His name was Kaito Todoroki. He was in shock for many months and the Todoroki family started to fade away from everyone's memory. Kaito Todoroki was taken to go to a special school for witches/wizards who are orphans too. There he met the first person that he had an actual conversation with in a long time. Someone he felt very comfortable being around. It was a girl who was named Sakura. She helped him through what he was feeling and over the years sparked a beautiful romance and then came the day where they got married to each other, they both agreed that they wanted to make the Todoroki family known again and build it up so she fell pregnant with a boy. They called him Hinata. Both Kaito and Sakura got jobs so they could support the family and rebuild what they lost, not only Kaito but Sakura lost her family as well. They gave their child Hinata everything. A great education, a great living environment where he grew up at, gave him all the love in the world and always was so protective of him since of what happened to Kaito’s whole family. He grew up to be a smart, kind man and soon fell in love with a woman named Reika. The family was starting to be remembered again and started to get its recognition back until an evil came back again but before it could do anything, the Todoroki family managed to escape its grasp. So the only thing they could do was run away so they went and left to go to England as they know they would be safe there for now. There, they gave birth to a beautiful son which they called Roman. Roman grew up to be a cunning boy who was very obedient and as he was getting older, both Hinata and Reika were thinking and they both wanted their family to gain the most power in the wizarding world so what they came up with was to have a ‘Quirk Marriage’ which was forced upon Roman and a girl in an ice power family named Mirabel. Originally, the Todoroki family didn’t have the power of ice, they only had the power of fire until the forcing of a ‘Quirk Marriage’ upon both Leyla and Dizney's mother and father, Mirabel who held the power of ice and Roman with the power of fire. The forcing of the quirk marriage was in order to conceive a child with the combined power (even though it was very rare to do so),strong enough to be the most powerful, well known family in the wizarding world. Weirdly enough, a miracle happened, creating twins consisting of both ice and fire, Leyla and Dizney. They were trained from a young age to strengthen their powers both with their quirks and their wizarding skills. Both, Mirabel and Roman feared for their two children's protection so they turned to the dark followers for help. The dark followers agreed only under one condition, for them to devote their own lives for their cause and to become dark followers themselves, although Mirabel was a bit wary, Roman convinced her to agree since he didn’t want anything to happen to his children as he knew they were powerful. Both Dizney and Leyla grew up to be independent and strong as dark followers and soon they reached the age of 13. Mirabel and Roman came back from a job they had to do but they failed so instead of the dark followers punishing them, they decided to take it out on their children resulting in both Leyla and Dizney to have a permanent scar on their face and Mirabel retaliated as she didn’t want to see Dizney get hurt. The dark follower was angry so he dragged both Leyla and Dizney to their room so they couldn’t see anything and attacked both Roman and Mirabel and dragged them to a secret dungeon where they lock up only the most hated people. The dark follower told Leyla and Dizney that their parents ‘abandoned’ them as so they won’t leave and still be on the dark follower side. Now both Leyla and Dizney attend the school Hogsworth, Leyla sorted into Serpents and the Dizney into Ravens as Leyla is very active and is one of the best at flying and Dizney is more of a smart person and always likes to keep her head in the books and they continue their legacy to be either a Serpent or Raven but in some cases there have been some Honeybadgers + Griffins and stays a pureblood family with keeping the Todoroki family name. Now, the story continues on for the Todoroki’s to regain their position of strength and powerfulness. 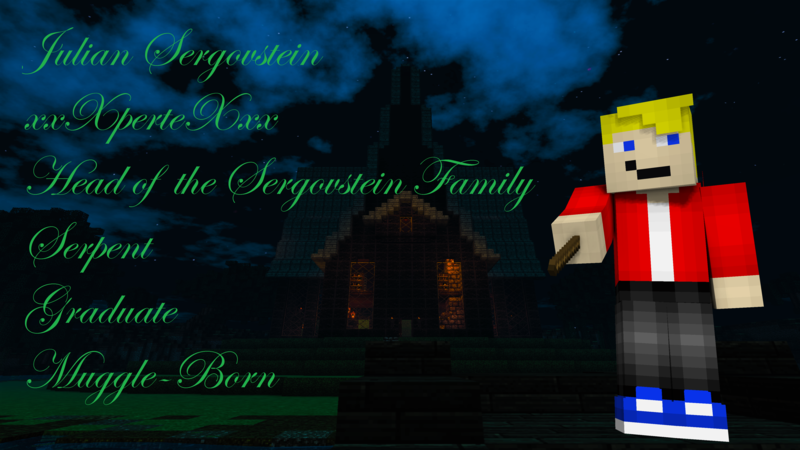 ❥ Must be fairly active on both Potterworld and discord because discord is our main socialising platform. ❥ A Todoroki last name on potterworld although it’s not required, it is highly recommended to show your allegiance to the family. ❥ Our family are based on purebloods.We are also based on dark followers allegiance but you don’t need to be one to join! ❥Must have a clean record and follow the rules on potterworld. ❥Be respectful to everyone as we don’t want to have anyone that misbehaves and is mean to others. ❥We need people who are polite and mature and will help the family in anyway, also to attend events that we host and needs to be okay with being with other people. ❥Most family members are either strong willed, determined and active because of their fire powers or quiet, smart thinkers and generous because of their ice powers but it’s up to you how many more traits you do have or to mix it up. If you’re interested in joining Click here! Wow, cool lore! Good luck with your family!